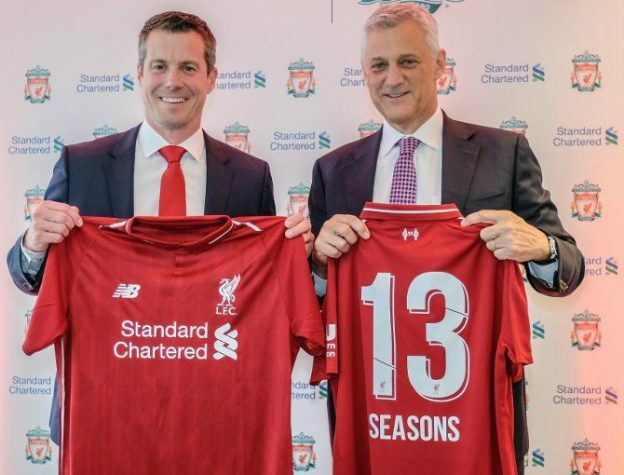 Liverpool and Jurgen Klopp have been given a boost ahead of their Champions League final after principal shirt sponsors Standard Chartered today (May 24, 2018) announced that they would be extending their sponsorship with the Reds till the end of the 2022/23 season. This entry was posted in English Premier League and tagged Liverpool, New Balance on May 24, 2018 by Football Kit News. This entry was posted in English Premier League and tagged Liverpool, New Balance on April 10, 2015 by Football Kit News. This is the new Liverpool away kit 2014/15, LFC’s new change strip for the upcoming 2014/15 Premier League season. Made by Warrior Football, the kit was officially unveiled via Google Hangout on May 14, 2014. Liverpool have already unveiled their 2014/15 home kit. The Reds finished second in the Premier League in 2013/14, just behind Man City and ahead of both Chelsea and Arsenal. This entry was posted in English Premier League and tagged Liverpool, Warrior Sports on May 14, 2014 by Football Kit News. This is the new Liverpool home kit 14/15, LFC’s new home strip for the forthcoming 2014/15 season. The new home kit has been made by Warrior Football and was officially unveiled on 10 April, 2014 at the Liverpool city centre. Note that Coutinho (10), Kolo Toure (4) and Jordan Henderson (14) were chosen to model the kit. The shirt is red with white piping and includes a geometric LFC jacquard weave, as can be seen in the pics below. 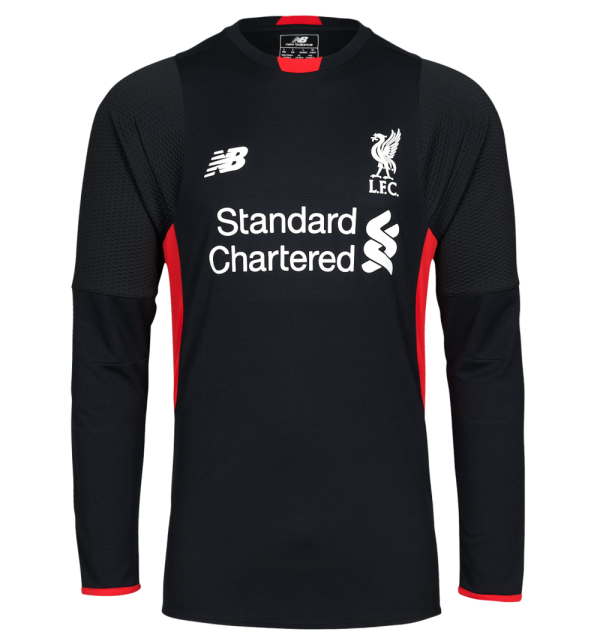 Like with the 2013/14 Warrior Kit, the 14/15 edition carries two embroidered Eternal Flames alongside a 96 logo on the nape of the shirt’s neck. This entry was posted in English Premier League and tagged Liverpool, Warrior Sports on April 11, 2014 by Football Kit News. Click here for official photos of the new Liverpool third shirt 2012/2013- released 5th July, 2012. This entry was posted in English Premier League and tagged Liverpool, Warrior Sports on June 24, 2012 by Football Kit News.